Over the past four decades, the numbers of auto accident deaths and serious injuries have declined, in large part because of new safety features and advances in driver safety technology. Advancements and changes ranging from required seat belts in every car to the standard use of anti-lock brakes have all contributed to helping drivers and passengers to be safer behind the wheel. 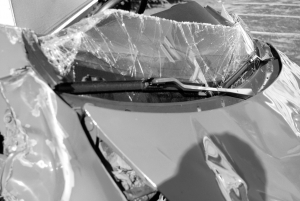 Any car accident lawyer in San Antonio knows that many of the positive changes that have occurred to reduce car accident deaths have happened because of the National Highway Traffic Safety Administration (NHTSA). The NHTSA was created in 1966 and in its first decade in existence, the agency passed more than 50 regulations and requirements imposing mandates on automakers. Much of the safety framework the NHTSA put into place is still in effect today and still shapes the way cars are made. The NHTSA, however, is not making rules the way it used to. In fact, there are serious concerns about whether the NHTSA is doing enough to protect the safety of passengers. In light of these concerns, a lawsuit was filed in September and a Senate Hearing was convened to take a closer look at the role of the NHTSA and whether the agency was fulfilling its role. Many experts indicate that the focus of the NHTSA has changed in recent years and that the agency is now primarily concerned with recalling vehicles after the cars have proven to be unsafe for drivers. In other words, instead of being proactive and working to stop accidents, the NHTSA is instead being reactive and only recalling cars when forced to do so because of serious problems. According to Auto Blog, the chairman of the Senate Judiciary Panel is concerned that not only is the NHTSA declining to use its initiative to make new rules that could improve safety, but also that the NHTSA is actually defying congress by not passing regulations that it was expressly ordered to put in place. The concern of the Senate Judiciary panel centers in part around a new mandate to require rear view cameras in all cars. The mandate was passed as far back in 2008 as part of a transportation safety act designed to make kids safer on the roads. The rearview camera requirement was promoted by lawmakers because more than 100 children under the age of five die each year in a backover accident when someone is backing out of a parking space, driveway or other location. With a rearview camera, these lives could be saved. Unfortunately, the NHTSA has delayed five separate time to actually put the rear-view camera regulation in place. This delay also prompted a lawsuit to be filed in September. Hopefully, the concerns of the senate coupled with the threat of legal action will lead the NHTSA to take the actions it is supposed to take to protect the public from auto accident risks.